But then around midnight I decided to make a new batch of granola. The recipe comes from here. It is so much easier to make than the Jamie Oliver Granola! Except with not as many delicious things. But it contains wheat germ which I've never used before... and the base for sweetening and sticking it together is apple juice concentrate, maple syrup, brown sugar and oil. Position racks in the top and bottom thirds of the oven; preheat to 325°F. Coat 2 large baking sheets with sides with cooking spray. Whisk apple juice concentrate, maple syrup, oil and brown sugar in a medium saucepan. Bring to a simmer over medium-high heat, stirring occasionally. 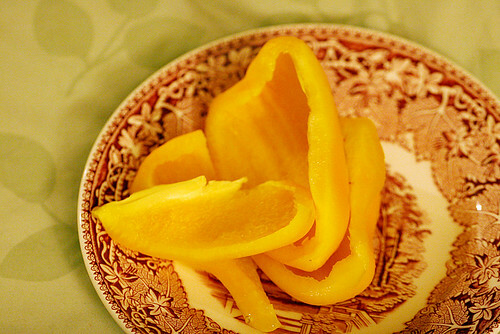 Remove from heat; stir in cinnamon and salt. Mix oats, wheat germ, almonds and sunflower seeds in a large bowl. Stir in the juice mixture; toss to coat. 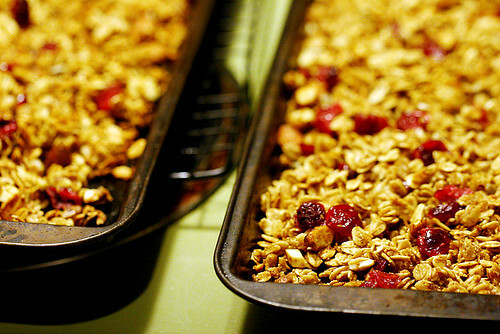 Spread the granola evenly on the prepared baking sheets. 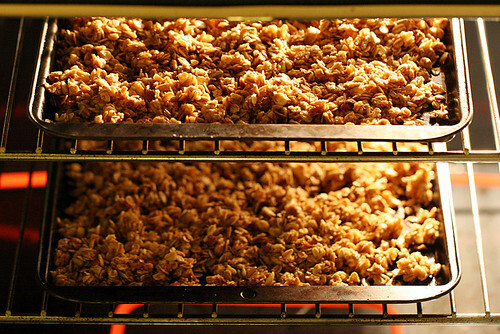 Bake the granola for about 10 minutes, stirring once or twice. Reverse sheets top to bottom and back to front. 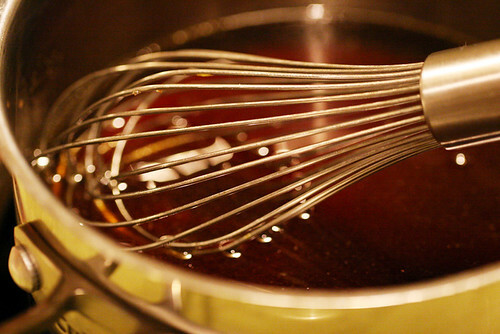 Continue baking until lightly browned and aromatic, stirring often to check, about 5 minutes more. Transfer the baking sheets to wire racks; stir 1/2 cup dried cranberries into the granola on each sheet. Let cool completely. I like this but it's a little on the cinammony side for me, even though I cut the cinnamon in half from the original recipe. I think next time I'll try a mix of this and the JO recipe, without the cinammon, adding more fruits and coconut and substituting honey for maple syrup. It also probably makes a big difference to use almond oil -- I just used canola.